I.M. Pei (貝聿銘), is one of the world’s most distinguished modern museum architects. He became known in Germany as an architect for the reconstruction of the Louvre in Paris. 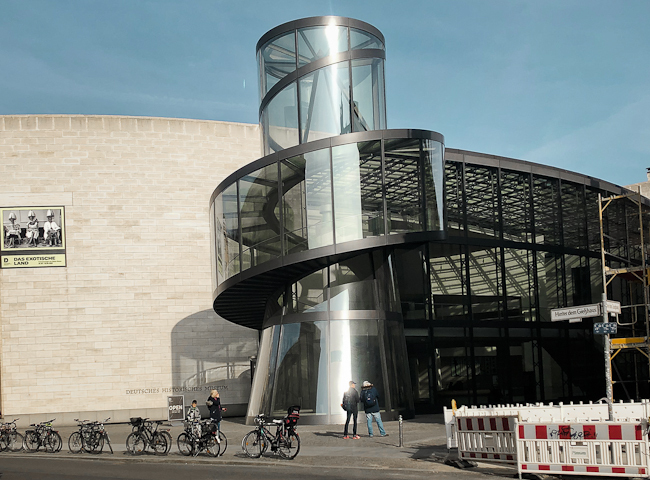 The exhibition hall for temporary exhibitions of the German Historical Museum DHM in Berlin, completed in 2003, is the only work by the Chinese-American architect in Germany. This architectural tour informs about the building history, design, architecture, materials and construction techniques of the new building.